Sponsored by Bioconjugate Chemistry and the ACS Division of Colloid and Surface Chemistry, this award recognizes outstanding researchers for important recent advances in interfacing synthetic and biological systems. Dr. Xiaoyuan (Shawn) Chen received his PhD in Chemistry from the University of Idaho (1999). After two postdocs, at Syracuse University and Washington University in St. Louis, he moved to the University of Southern California as an Assistant Professor in 2002, and to Stanford University in 2004. In 2009, he joined the NIH as a Senior Investigator and Chief of the Laboratory of Molecular Imaging and Nanomedicine (LOMIN) at the National Institute of Biomedical Imaging and Bioengineering (NIBIB). Meet Xiaoyuan (Shawn) Chen, Winner of the Inaugural 2016 Bioconjugate Chemistry Lecturer Award! Bioconjugate Chemistry and the ACS Division of Colloid and Surface Chemistry are pleased to announce that Dr. Xiaoyuan (Shawn) Chen, Senior Investigator and Chief of the Laboratory of Molecular Imaging and Nanomedicine at the National Institute of Biomedical Imaging and Bioengineering, NIH, is the recipient of the 2016 Bioconjugate Chemistry Lecturer Award. This award recognizes Dr. Chen for his extensive contributions at the interface between chemistry, biology, and medicine that have helped define the field of nanomedicine. “It’s really an honor to be acknowledged as the first recipient of the Bioconjugate Chemistry Lecturer Award. Bioconjugate Chemistry is an exciting field showing great promise for the future of biomedicine. I am pleased to have had our work in molecular imaging and nanomedicine highlighted through this award by the American Chemical Society and Bioconjugate Chemistry.” says Chen. 2016 marks the first year of the Bioconjugate Chemistry Lecturer Award. This award is jointly sponsored by Bioconjugate Chemistry and the ACS Division of Colloid and Surface Chemistry, and aims to recognize outstanding researchers for important recent advances in the interfacing of synthetic and biological systems. "We had a very competitive field for this inaugural fellowship, but Shawn is a truly exceptional scientist. He is a leader in the field of imaging agents and a pioneer in the area of theranostics. His prodigious output over the past few years fit perfectly the goal of the Bioconjugate Chemistry Lecturer Award to recognize the best scientists working at the interface between the biological and the man-made worlds." Says Dr. Vincent M. Rotello, Editor-in-Chief, Bioconjugate Chemistry. This year’s award will be presented at the Fall ACS National Meeting, August 21-25, 2016, in Philadelphia, Pennsylvania, as part of the Bioconjugate Chemistry Lecturer Symposium. Dr. Chen will be presenting at this symposium, along with four other prominent researchers in the field. 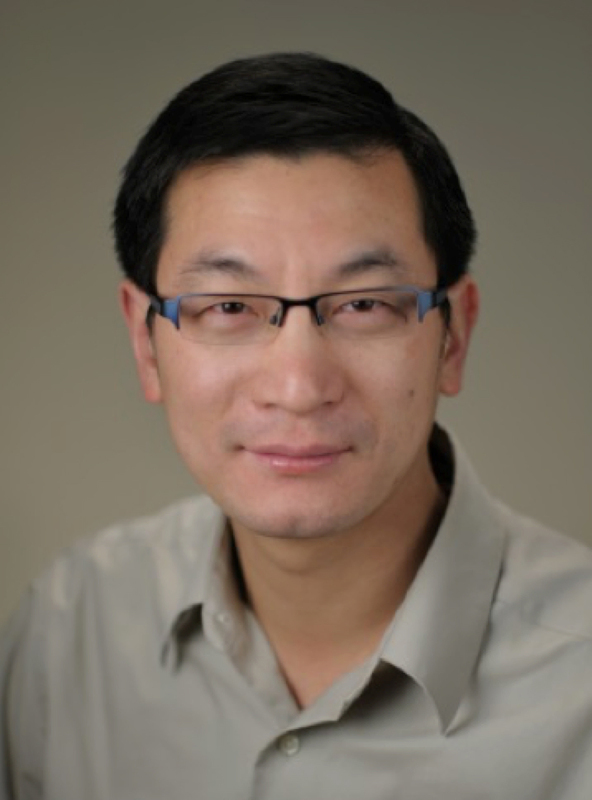 Dr. Chen’s current research interests include the development of a molecular imaging toolbox for better understanding of biology, early diagnosis of disease, monitoring therapy response, and guiding drug discovery/development. His lab puts special emphasis on high-sensitivity nanosensors for biomarker detection and theranostic nanomedicine for imaging, gene and drug delivery, and monitoring of treatment. In addition to having published over 500 peer-reviewed papers and numerous books, Dr. Chen is the founding editor of the journal Theranostics, the President of the Chinese-American Society of Nanomedicine and Nanobiotechnology (CASNN), and President-Elect of the Radiopharmaceutical Science Council (RPSC), Society of Nuclear Medicine and Molecular Imaging (SNMMI).